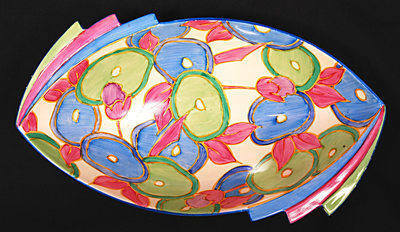 Daffodil shape bowl in the Blue Chintz pattern. Shape number 475. Size is 12 inches long. Signed Bizarre by Clarice Cliff. No damage or restoration. Just a small nibble to the underneath of one of the fins. Price £525.